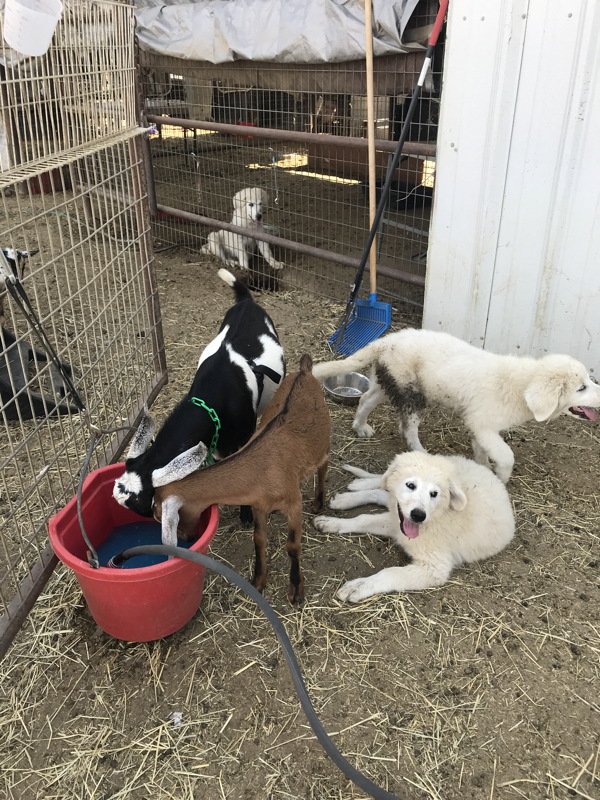 We prefer to feed all of our animals as healthfully and naturally as possible. We avoid most commercial feeds because they are usually full of soy, GMO's, by-products, chemicals and other questionable ingredients. We drink the milk from our goats and eat the eggs from our chickens so we don't want this stuff passed on to us. Furthermore we want our animals to live a long and healthy life and we feel that avoiding certain feed stuffs will help them do so. Free choice alfalfa hay. 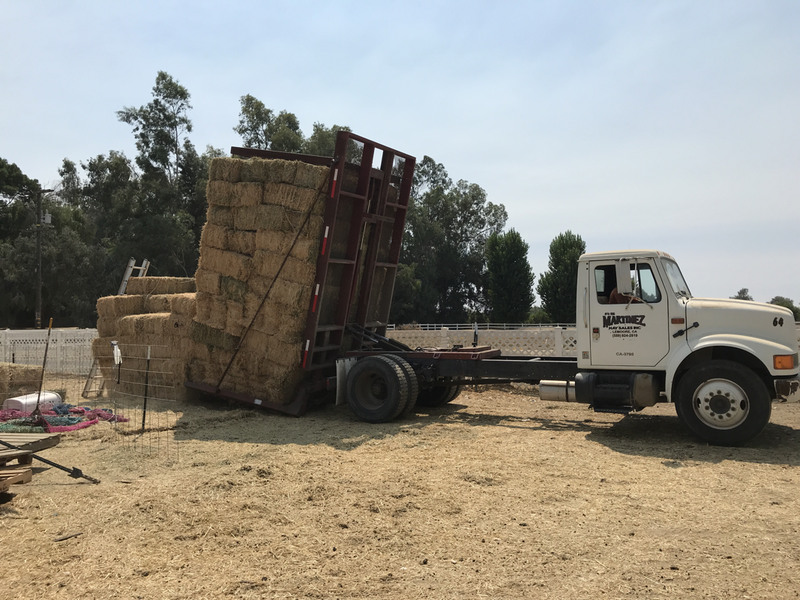 Some Orchard Grass or forage hay for variety. Sweetpro Protein blocks - Cattle Kandi (225 lb blocks!) for does & kids to balance protein along with vitamins, minerals and prebiotics (we still offer Crafts-Min loose minerals). 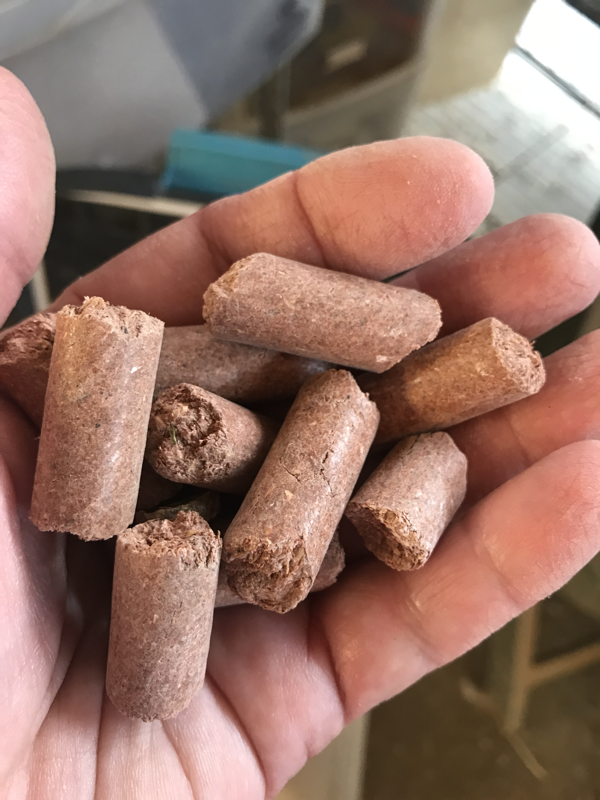 This is a SOFT block based on compressed distillers grains (no molasses) and we feel it really helps our babies grow big and strong and gives our does the boost they need for pregnancy and lactation. 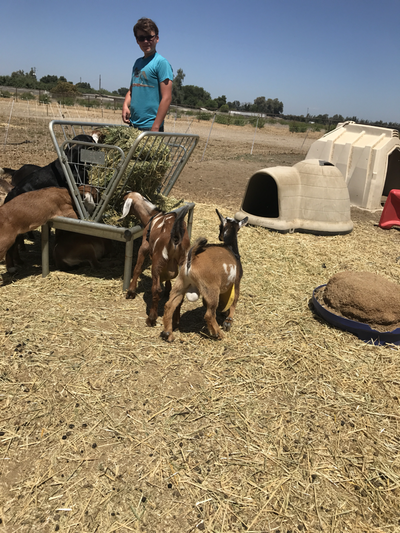 We used the blocks for our bucks for a while but they powered through them at an alarming rate and they don’t really need them so now we only use them for does and kids. We get them from Premier Ag in Paso Robles. 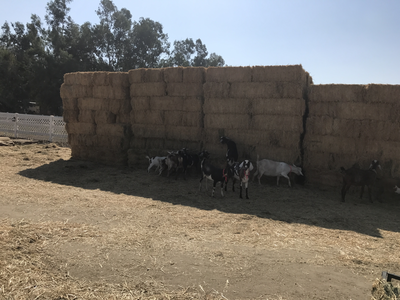 We don't feed much grain since goats are ruminants and get most of what they need from high our quality alfalfa hay and free choice loose Crafts-Min minerals and Sweetpro blocks. Roughage (hay, trees, etc), not grain, is what makes milk and keeps goats healthy, so that's the basis of their diet, while the minerals balance everything out. We do give some grain to does on the milk stand, as well as an occasional treat/bribe for the rest.  Our bucks don’t generally get grain. 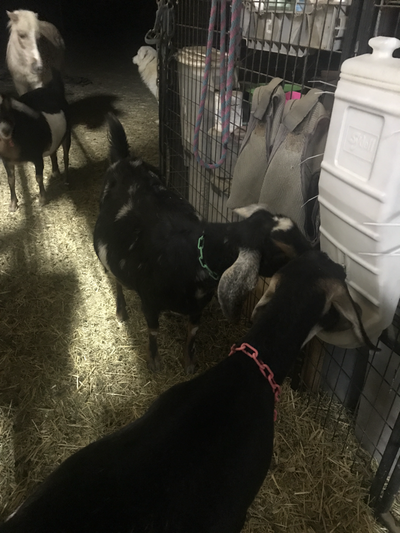 Grain is not good for male goats as most grains are high in phosphorus and can cause urinary calculi! Please, don’t feed your male goats grain, especially pet wethers. It can lead to a very sad end. (Alfalfa is ok for bucks and wethers as it actually helps prevent UC. Just don’t overfeed it or they can get too fat!) 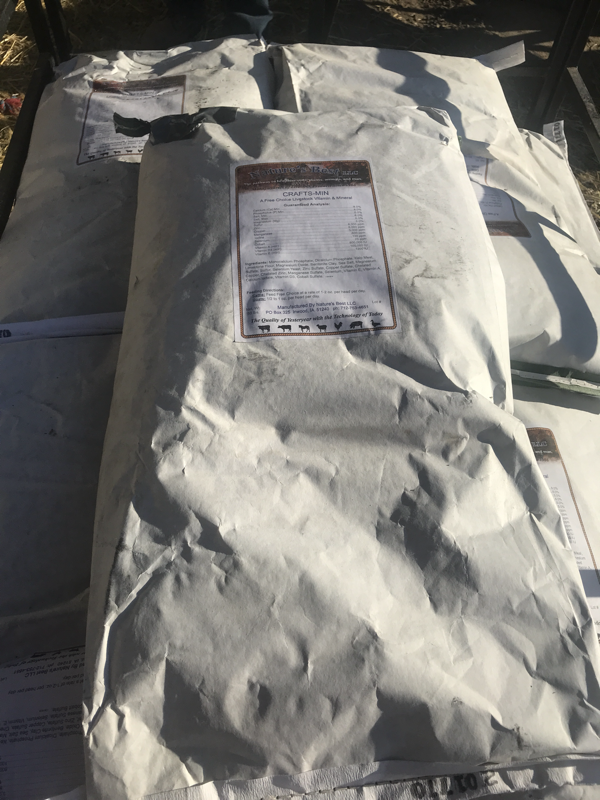 We have not found a need to feed our bucks grain even during breeding season because they get everything they need from alfalfa hay and CraftsMin loose minerals. We don't like to use commercial feeds because of all the GMO's, soy, etc. We also refuse to use any feed that doesn’t use a fixed formula. Therefore we feed either whole oats or rolled barley or both to does on the milk stand, nursing does and kids and as an occasional treat to dry does. 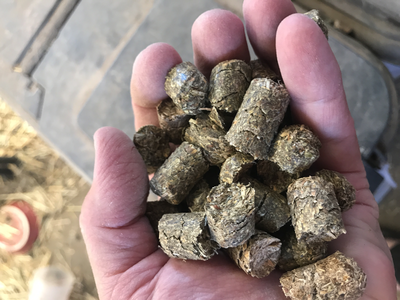 Sometimes we add alfalfa pellets and/or a little BOSS (Black oil sunflower seed) for variety. 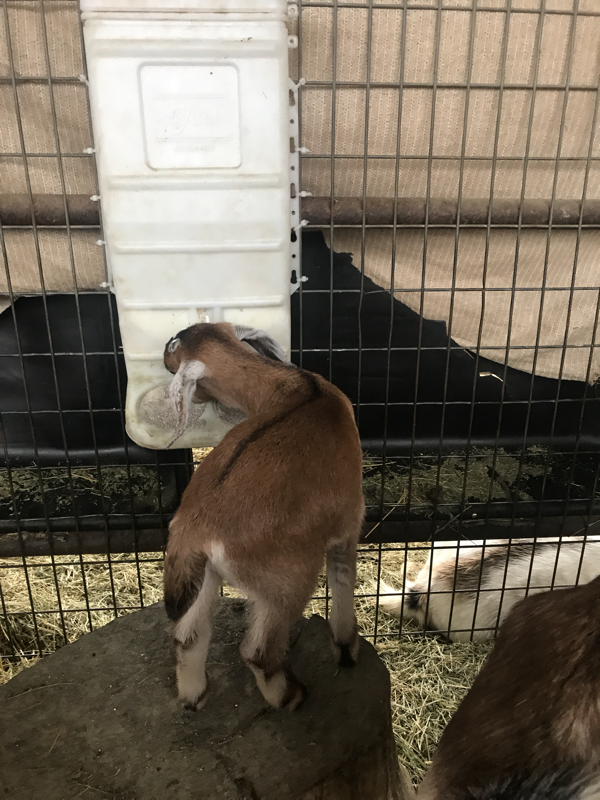 Electrolytes: when it’s really hot out we give electrolytes to keep the goats hydrated, especially does in milk and young kids. 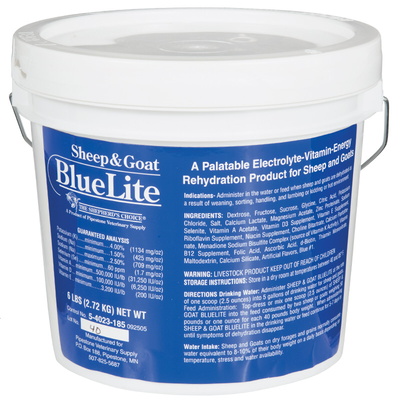 Our brand of choice is Sheep and Goat BlueLite, which we get at Premier 1. To learn how we feed our baby goats go here. 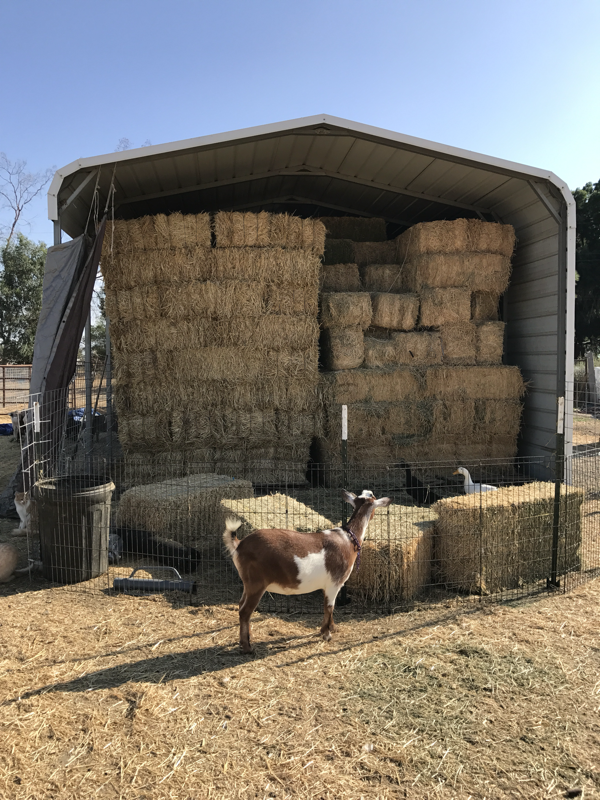 High quality alfalfa hay is the basis of our goats' diet and we go through a lot of it! 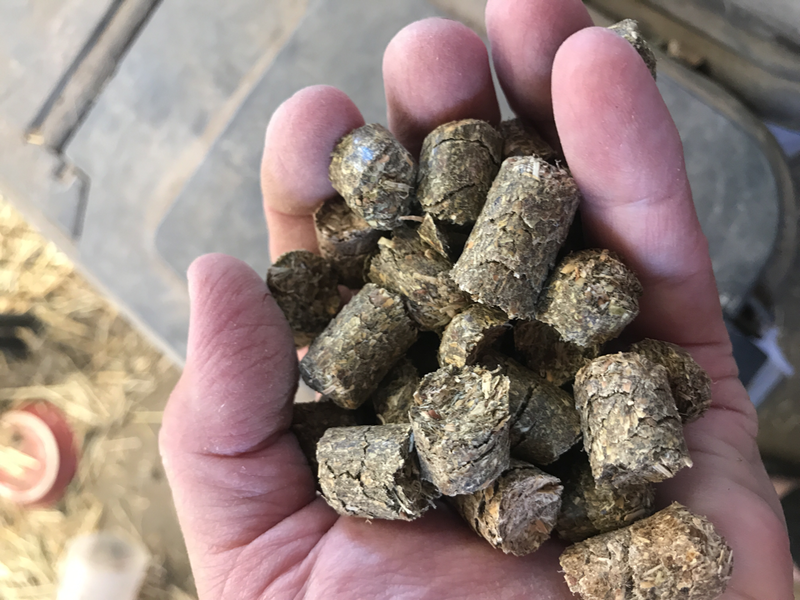 CraftsMin loose organic minerals balance out the hay and keep our herd healthy! Sweetpro blocks make for healthy does and kids! 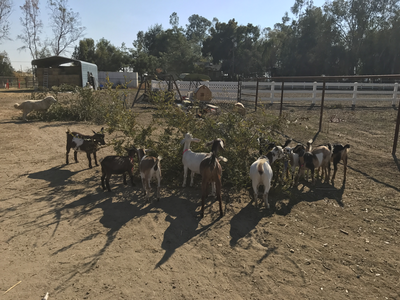 Yummy treats for our goats! 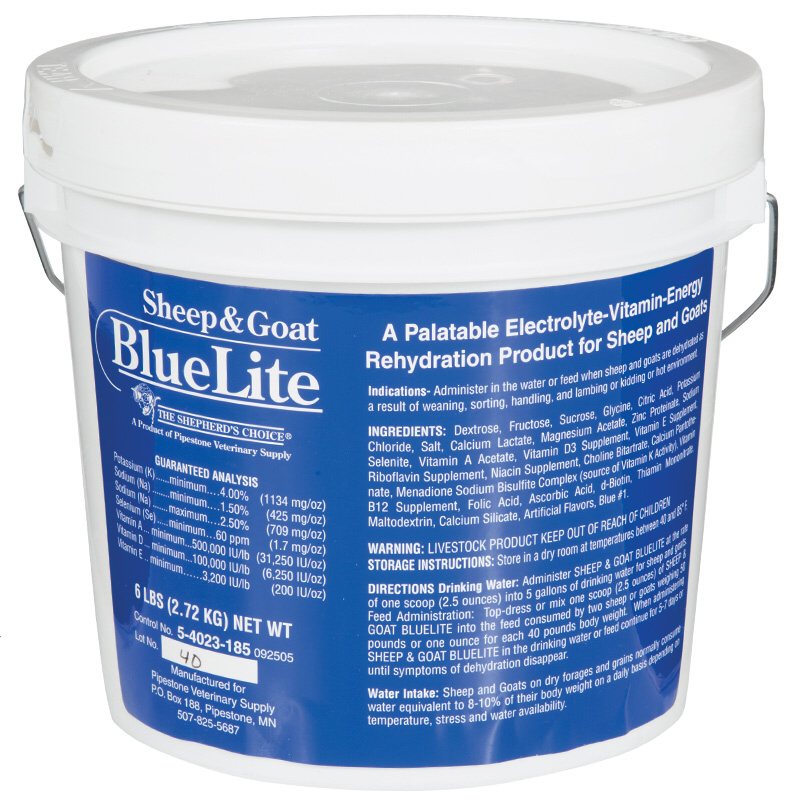 Electrolytes keep goats hydrated and boost milk production on really hot days!